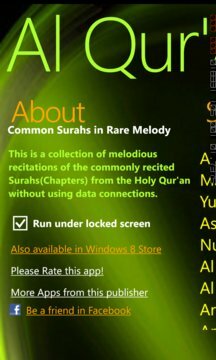 PC/Tablet version of "Al Quran" is also available in Windows Store! 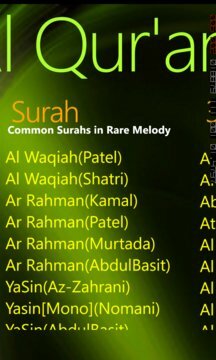 This app is a collection of melodious recitations of the commonly recited Surahs(Chapters) from the Holy Qur'an. Al Qur'an does NOT use data connection since all media contents are embedded, thus making it readily playable anywhere even when flying.